Toto Wolff has expressed his frustration at the FIA for revealing Mercedes Formula 1 technical director James Allison and engine man Lorenzo Sassi helped prompt an investigation into Ferrari's ERS. The issue is sensitive for Mercedes in part because both Allison and Sassi are ex-Ferrari staff members, with Sassi having worked at Maranello until last July. 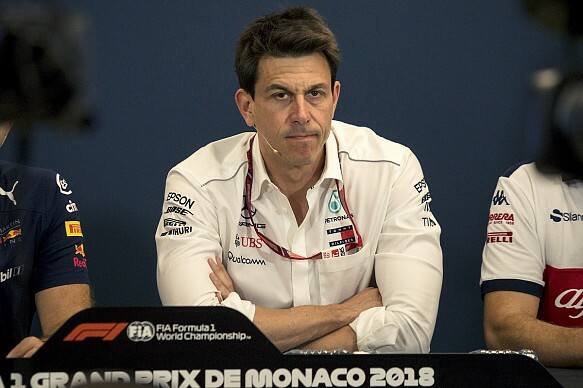 Wolff believes the governing body should not be as specific as to name individuals and should only suggest which team has made enquires about the legality of a rival's car. Reports emerged confirming Allison and Sassi had enquired about Ferrari's ERS after race director Charlie Whiting spoke to journalists in Monaco. Wolff subsequently met with Whiting, who pointed out that he had only acknowledged the names put to him by the media. Asked if he felt that the Mercedes pair had been "thrown under a bus" by the FIA, Wolff said: "Yes. One of my roles is to protect my people, and if certain individuals are named in a wrong context, that is disturbing. "The most important thing is to understand how the process goes and various teams question the FIA every single day. "I think it's just important to not put somebody out there and say, 'This person has questioned a legality topic'. "If you say that a team has done that, it's perfectly fine, that is modus operandi. But picking out individuals, and putting them out there is, I think, not the right thing to do." Whiting said the names had already been in the media and that he had simply confirmed them when asked by journalists. "I had a chat with Toto, I didn't think it was any secret," he said. "When we had a little chat with the [media] guys [on Saturday] it was they who came up with the Ferrari man's name [Sassi]." He stressed that it was not unusual for teams to come to the FIA with questions about rivals. "It was just one of those normal conversations you have with somebody," added Whiting. "'We think Ferrari may be doing this and this because of that,' and we went and checked. We thought they could be doing that, let's have a check and make sure. It took us a little while to get to that. "It's a pretty routine thing for people to come to us, especially when they've had staff members come from another team. "Don't forget, Lorenzo's information is at least eight months old, which in F1 terms is quite old."